After living with hippies for a year, runaway teen, Denise(,Dennie) Miller returns home to her family. While Dennie regrets what she had done, her younger,teenage sister,Susie, admires the hippie life her sister had. Dennie tries embracing her suburban home and her parents who don't understand their daughters. Dennie's boyfriend tracks her down and tries convincing her to join him in Canada. Right behind her parents' backs, Susie is sneaking meth. Dennie tries convincing her sister that she can't handle the drug. Susie believes that her parents are extra nice to their sister, and overly critical of her. 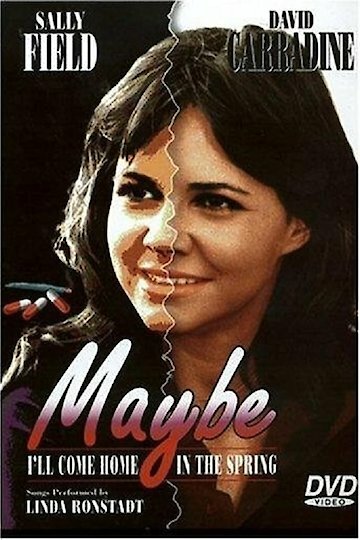 Maybe I'll Come Home in the Spring is currently available to watch and stream, download, buy on demand at Amazon Prime, Amazon online.